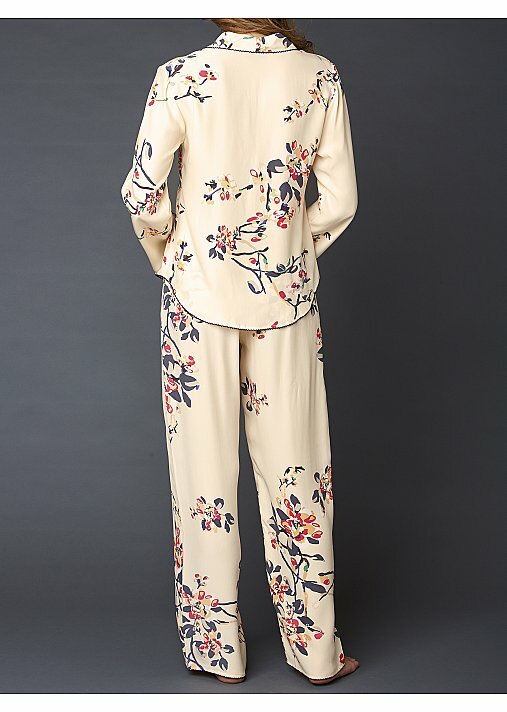 Good night and good morning in these delightful pj's! 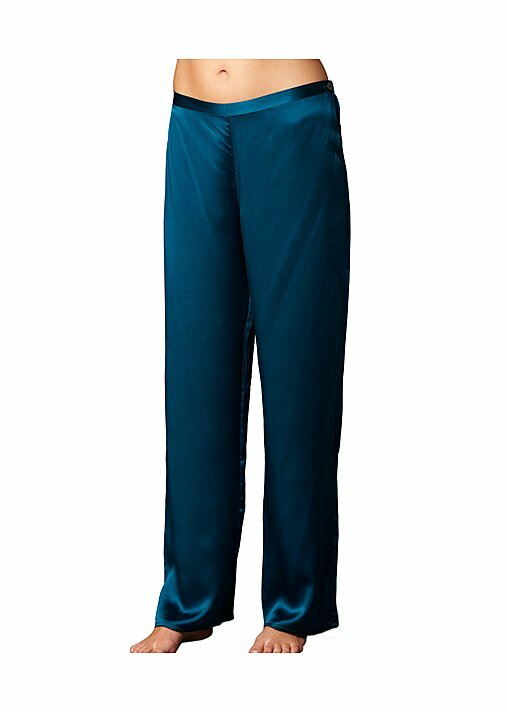 Silk is so sensuously soft to sleep in but with a tailored collar, gorgeous bell sleeves, and a flat front pant that is made oh so comfortable with an elastic back, also great to get up in. 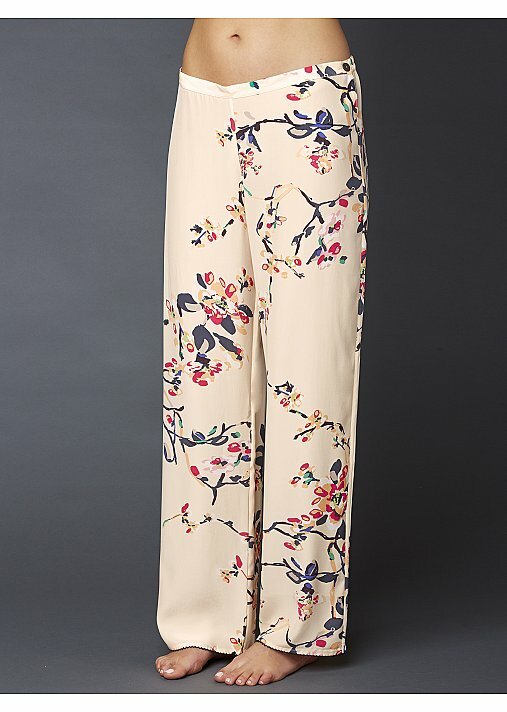 The airy floral print gives it the sophistication you want, the embroidered trim provide the details you admire, and the great flattering design gives you the comfortable fit you can lounge in all day. 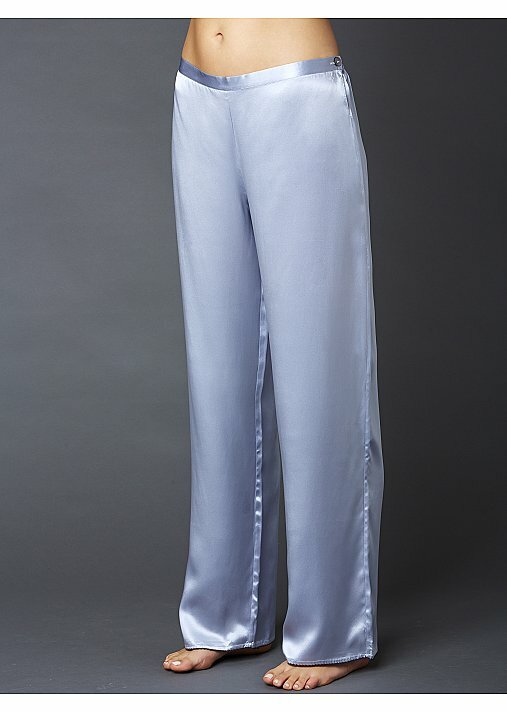 Measurement: Top length: 24 1/2" Inseam: 31"
Fit: Classic. 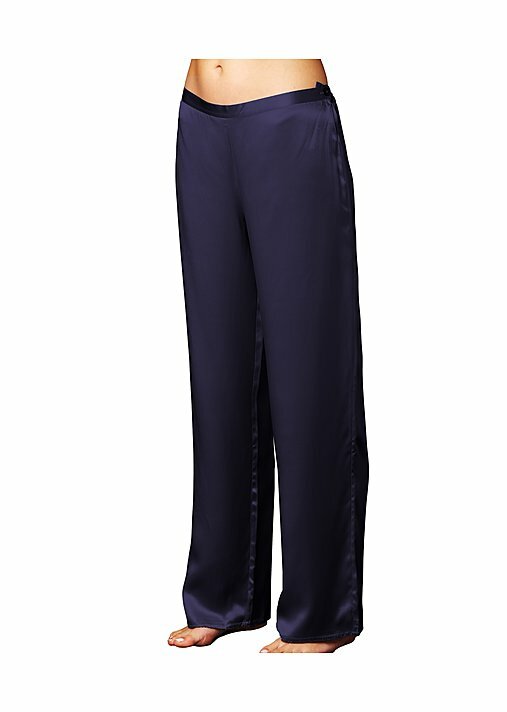 Pant has one side button with elastic waist band in back. Good night and good morning in these delightful pj's - now perfectly proportioned for petite sizes! 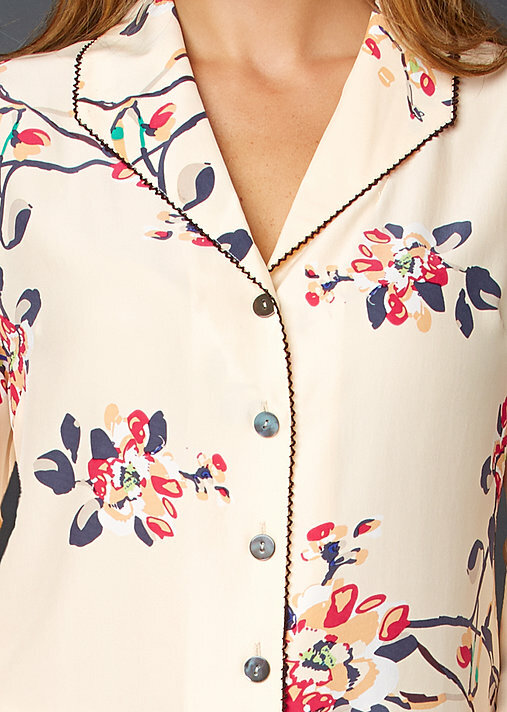 Silk is so sensuously soft to sleep in but with a tailored collar, gorgeous bell sleeves, and a flat front pant that is made oh so comfortable with an elastic back, also great to get up in. 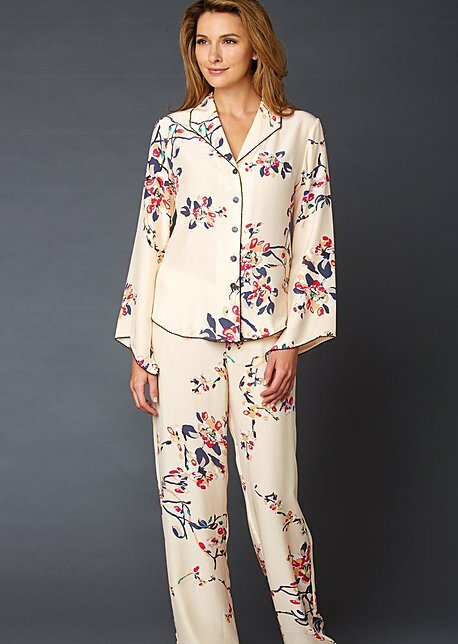 The airy floral print gives it the sophistication you want, the embroidered trim provide the details you admire, and the great flattering design gives you the comfortable fit you can lounge in all day. 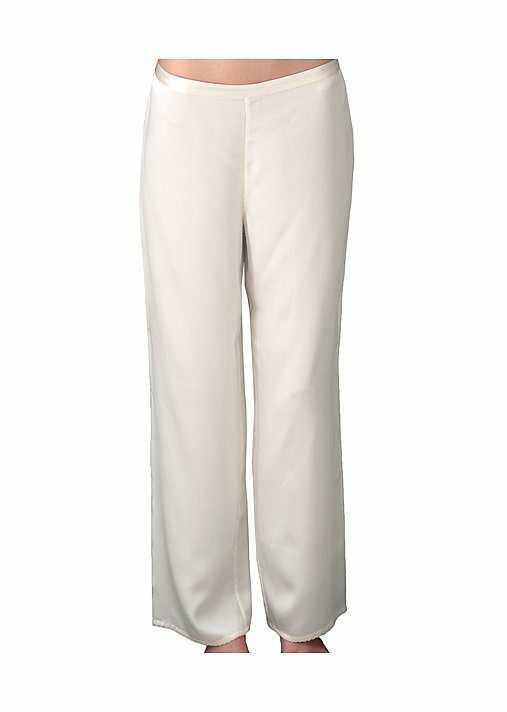 Measurement: Top length: 24" Inseam: 29"
Wrap yourself in the our finest, most luxurious silk. A beautiful wide shawl collar ends in gentle pleats at the neck for a light, graceful touch. The same gentle pleats adorn the cuff. 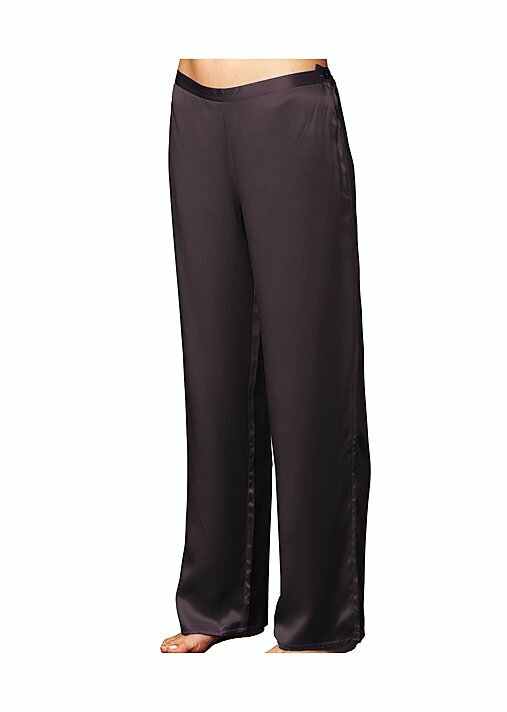 Additional details include pockets at the side seam, a detachable sash, and inside security ties. You knew this robe was yours as soon as you saw it. Care: Dry clean or hand wash in cool water. Gentle detergent. Lay flat to dry. Cool iron. Wrap yourself in the our finest, most luxurious silk. A beautiful wide shawl collar ends in gentle pleats at the neck for a light, graceful touch. The same gentle pleats adorn the cuff. Full length to the ankle and perfectly proportioned for the petite woman. 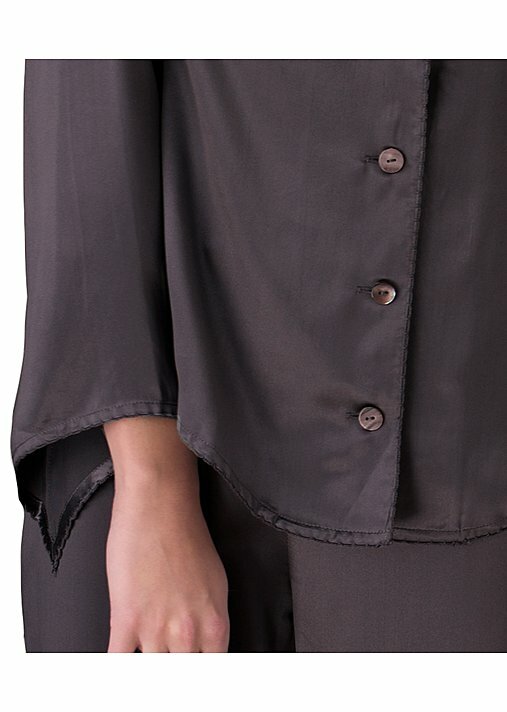 Additional details include pockets at the side seam, a detachable sash, and inside security ties. You knew this robe was yours as soon as you saw it. Midnight. Quiet. Serenity. We capture just that feeling in this elegant silk robe. 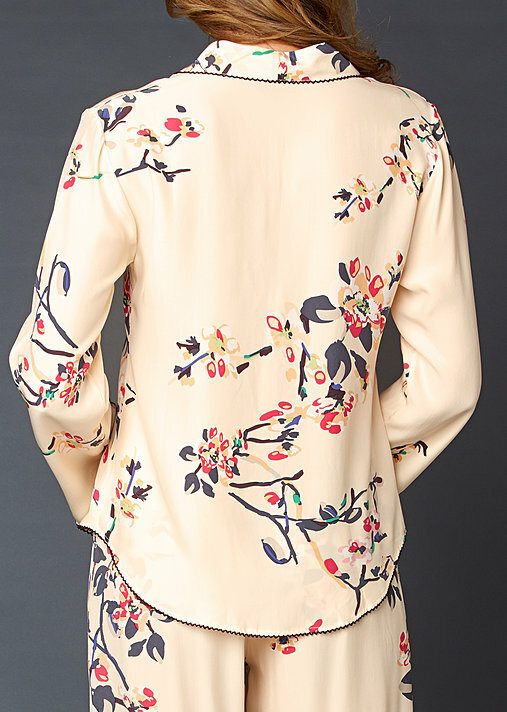 Exquisitely tailored with embroidered trim, glamorous bell sleeves, and on-seam pockets, because you never know what treasures you might find on your midnight stroll! 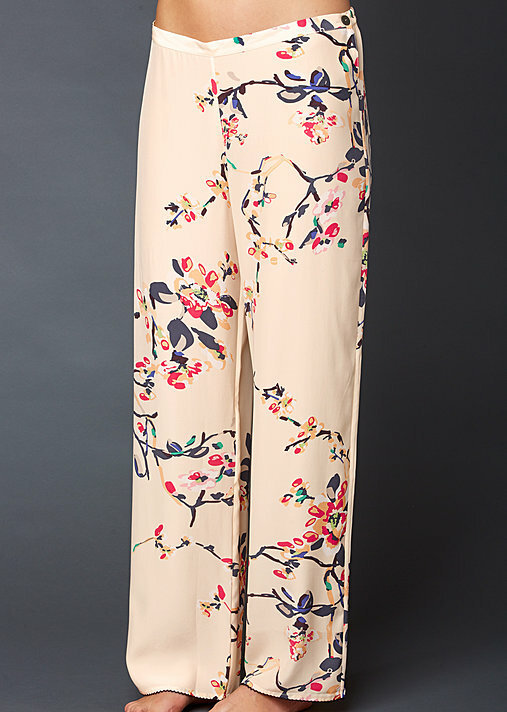 In beautiful delicate silk prints or striking solid colors. Your midnight stroll will never be more luxurious. Midnight. Quiet. Serenity. We capture just that feeling in this elegant silk robe - now proportioned specifically in petite sizes! Exquisitely tailored with embroidered trim, glamorous bell sleeves, and on-seam pockets, because you never know what treasures you might find on your midnight stroll! Also in striking solid colors. Your midnight stroll will never be more luxurious.